In a world of some amazing inventions, perhaps none is more incredible than that of aviation. The operation and use of aircraft is so astounding that there’s even a month designated to appreciate the history of this impressive feat. November is Aviation History Month, and to celebrate, Tristar Products review the invention of aviation. The history of aviation is not brief. In fact, it spans more than two thousand years. One of the earliest forms is kite flying, which dates back to several hundred years BC in ancient China. During the 15th century, world-famous inventor Leonardo da Vinci produced several rational but unscientific designs of aircraft. However, he never attempted to create any of them. By the 18th century, the discovery of hydrogen helped lead to the invention of the hydrogen balloon. Hot-air balloon flights became useful for military use and they would later work their way into the public sector. Hand gliders and similar aircraft would come next, but the early 20th century was when the invention of aviation really started to get going, and the groundwork began to be laid out for heavier-than-air flight. 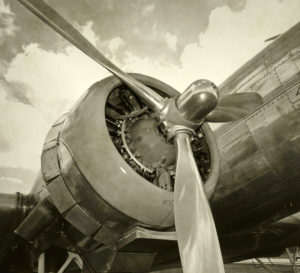 Advances in engine technology and aerodynamics helped pave a path for the modern airplane, which began to see its characteristics develop as early as 1909. As engines became more and more powerful, airplane use became increasingly popular. In the early 1900s, the Wright brothers were ready to take their many experiments with kites and gliders and turn them into a powered design that would resemble that of a modern-day airplane. The Wright brothers made the first sustained, controlled, powered, heavier-than-air manned flight in Kill Devil Hills, North Carolina, on December 17, 1903, according to the Smithsonian Institute. The flight was made by Orville Wright, who traveled 120 feet in 12 seconds. His brother Wilbur Wright made another flight that same day that flew 852 feet in 59 seconds. The Wright brothers’ quick improvement and historical act was witnessed by five people, making it the first well-documented, public flight. Manning an aircraft was a mind-blowing accomplishment back then, but times have changed so much that now technology is heading toward pilotless aircraft like drones that can be used for military, civilian and leisurely purposes. Tristar Products review the latest, greatest and most historically significant inventions of all time. Be sure to keep your eye out for the next Tristar Products review.